2018 is the year of the 20th anniversary of the Hamburg based HoReCa experts from Market Grounds. 20 years of innovative brands, a steadily growing assortment and concepts, with which Market Grounds supports the most diverse customers in the area of food service and retail. What to expect from Market Grounds at ECS 2018? With the expertise of two decades Market Grounds has been active far beyond the borders of its home city of Hamburg, Germany and develops and markets high-quality, innovative beverage and food products to meet the requirements of their various customers. So, next to the hand-cooked potato crisps from John & John and Teahouse Exclusives, the extraordinary brand with passion and tradition in tea since 1879, One&Only completes the range of Market Grounds´ owned brands with stylish drink specialities for the whole year. A core competence of the company is the development of individual customer solutions in the field of trendsetting beverage solutions for professional needs. The One&Only portfolio includes finest Smoothies, Frappes, Drinking Chocolate, Chai, Matcha, Toppings and Frozen Yogurt products – all together easy to prepare and with a large variety of appealing recipes and different combinations for an outstanding beverage menu. 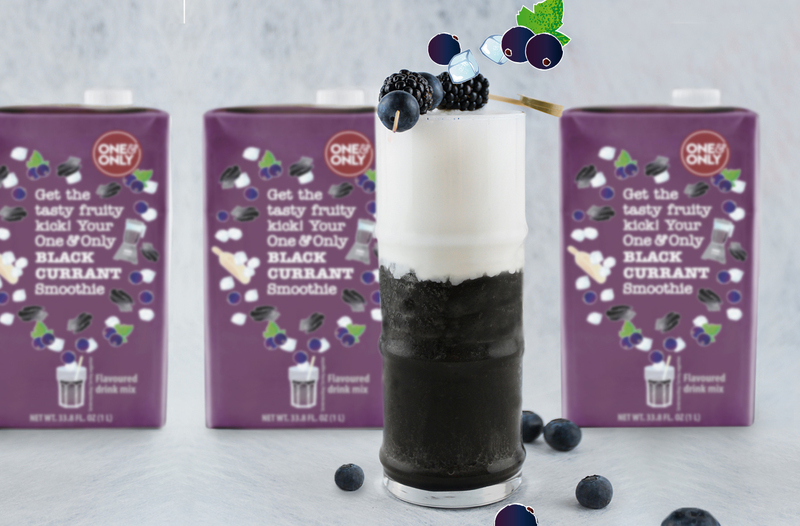 2018 Market Grounds launched the Black Currant Smoothie a trendy black drink with blackcurrant and natural active carbon, which lends the drink a deep-black colour without requiring artificial colouring and makes it a special summer drink! Prepared for drinking it has the texture of a sorbet and ensures “the tasty fruity kick”. All One&Only Smoothies are vegan and gluten-free by nature and don´t contain any additives. 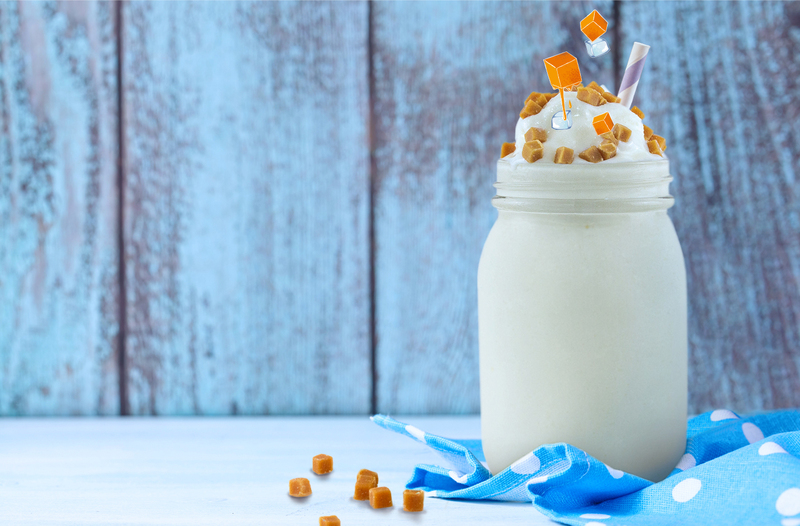 The latest example for a customer specific developed product portfolio is the new Dairy Free Frappe range with the varieties Coconut Vanilla and Almond. “Dairy and lactose free products as well as the consumption of vegetable proteins is perceived as delicious, “healthy” and ethically acceptable by the consumer”, Franziska Schummer, Product Developer Beverages at Market Grounds, stated. “Milk- and lactose free alternatives are therefore increasingly gaining a strong, competitive position in food service. Dairy-free products function as an alternative and supplement to the standard range and enable a perfect extension of the target group”, she added. The products can be perfectly and easily adapted to different occasions, e.g. for daytime or nighttime as well as the possibility for a seasonal adjustment by adding sauces, syrup or toppings. The easy and rapid preparation is given equivalent to the One&Only classical range. Another product creation from Market Grounds is Sugarfree Iced Tea, which rounds off the 2018 launched Ready to Drink Ice Tea range from Teahouse Exclusives: Flavored green or black teas, as well as herbal and fruit blends which provide – combined with certain special ingredients – a freshness and sweetness into the product – without sugar. Excited now? Then visit the Market Grounds booth at the upcoming ECS in Milan and learn more about trends, new products and opportunities to enhance beverage sales in your business.